Cheung Kong Graduate School(CKGSB) established in November 2002 through the financial support of the Li Ka Shing Foundation. Today CKGSB is considered one of the major graduate business schools in China, with a leading role in the growing Chinese private sector. As of 2011, CKGSB alumni collectively managed above $1 trillion in revenues, equal to 13.7% of the Chinese GDP in that year. Before being the professor and founding dean of CKGSB he has taught at Hong Kong University of Science and Technology, Shanghai China Europe International Business School and Peking University. He was one of the first (seven) core professors of CEIBS and the founding director and doctoral tutor of EMBA and EDP of Guanghua School of Management at Peking University. CEO of Baidu (Henan) Marketing Service Center Ruizhiqi Network Technology Co., Ltd.
Wang Qian is the superstar of Chinese Internet industry, after enrolling the Baidu (Henan) marketing service center Ruizhiqi, Wang Wei continued to improve the company's performance and management level with its clear strategy, decisive execution and excellent management and operation capabilities, received tons of awards. Since March 2013, She has served as CEO of Ruizhiqi, fully responsible for the operation and management of the company. Under her leadership, the development momentum of Baidu (Henan) Marketing Service Center is getting significantly higher level. In the past 14 years, it has served 200,000 business customers in various industries and has been listed among the top 100 Internet companies in China for five consecutive years. In 2018, Baidu will continue to use its technical strength, new products and solutions to help enterprises achieve their marketing upgrades and support their development. On March 2, 2015, 58 Tongcheng City officially announced the acquisition of Anjuke. The transaction was conducted in cash and stocks, amounting to USD 267.10 million. After the merger, 58 real estate business groups were established in the same city to integrate the real estate business of 58 cities and Anjuke. In 2018, Zhao Tongyang, the general manager of the 58 Group New Housing Division, made a keynote speech on “Building a New Era and Building an Ideal Future”. Zhao Tongyang believes that the real estate industry will usher in a new era of Internet + technology intelligence. The 58 Group will carry out more product innovations around smart picking houses and smart links, and create a new pattern and use more complete by pushing thousands of people. Data analysis, build a cloud database of the 58 group property dimension. Since 2001, he has been the president of the Global IELTS Chain School. Since 2006, he has raised $30 million through Softbank Safran and established Global World Education Technology Group as CEO. Zhang is the leader of China's training and education, has led 450 chain schools and 5,000 faculty and staff for 15 years of experience of operating education institutions.He won the title of "China's most charming principal" in 2010. Youzan.com is one of China's leading social media e-commerce solution providers, like Shopify. Their CEO, Zhu Ning has over ten years professional experience in e-commerce, including work as a Product designer at Baidu and as the Chief product UE designer at Alipay. In 2012, he struck out on his own to create "Youzan". Now he is coming to share his story at the CCTC. Canada Horizon International Education Inc.
As an educational cooperation registered in British Columbia, Canada, the company is authorized by BC Education Department and the Federal Education Department to build Canadian High School overbroad. It is committed to international education and cultural exchange activities, imports of Canadian advanced educational resources into China, exports Chinese talent into internationally renowned institutions. Currently, overbroad high schools expend all around the world, with 38 schools in China. Over years of hard work, the company has established a good relationship with the Ministry of Education of British Columbia; gained respect and reputation in the field. Canada Horizon International Education Inc will fully support the conference with the matched value regarding Education. Sooper Builder was established in 2004. It is a service organization which is committed to building up children’s sense of technology and creativity. With more than 10 years of efforts and practice, they have built a leading-edge, mature, and completed course system. With top-level education theory - Design Thinking - and equipments, they helped children to develop a problem-solving mind gradually. Then lead children to explore the technology world with hands-on practicing. Especially thanks Sooper Builder’s support to this CCTC conference. 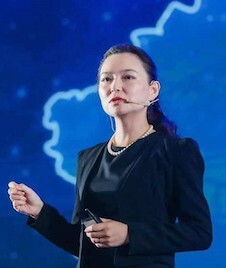 Zixu Think Tank connects upstream and downstream chains of global infant and children education industry. Zixu has established six core services. Industry training, strategic consulting, brand integrated marketing, investment + FA, industry summit, and industry Researching report. It will help businesses to increase market efficiency, generate operating excitement, discover and train potential unicorn enterprises. While providing truly outstanding children products, contents, and services for children and families. EIC Education is the largest provider of overseas educational counseling services in China. It owns 16% of the market share of the overseas educational counseling market. It is also the fifth largest provider of test preparation services in China, with a market share of 6%. It provides services under the “EIC” brand, which is the most recognized and trusted brand in the overseas educational service market in China. It offers a wide range of educational services in China as well as in destination markets for our students, most of whom are from the PRC. Our private educational services consist the following services, including advice and support on studying abroad, test preparation for admissions exams, assessments in the US, the UK, Australia and Canada, as well as study tour programmes to assist our students (and their parents) in making more informed decisions about studying abroad.t to edit your poster at right side editor. KidzCan Global Education Inc is an innovative team of education professionals based in British Columbia, Canada. They have packaged a top-ranking Canadian Kindergarten curriculum with a robust teacher training program and Kindergarten accreditation in order to share Canada’s early childhood education excellence with partners around the world.